THE GA-ADANGBE'S CONCISE CULTURAL AND BIOGRAPHICAL PROFILE. Good Omen Embrace us; in Spirit, Peace, Love, Power, Wealth, Victory, Health, Long Life & Welcome. GA-MASHIE is the Original active name of the present GHANA’S capital city named "ACCRA" and the owner of that sovereign-state. GA-MASHIE is a sub-nation of the GA-ADANGBE Nation, whose identity is transparently overshadowed by the word "ACCRA", an alien government name given to the Ghana Nation's capital and to the Ga-Mashie sub-nation itself. The word "ACCRA" is not part of Ga-Mashie’s culture (spiritual doctrine) and cannot be one. Based on the ancient legacy of the "ASAFO" doctrine practices, it will be against spiritual rules of the GA-ADANGBES, their blood and spiritually bonded part GA-MASHIE, and its priceless theocracy, which is already in danger, to accept the name Accra as a replacement of their name GA-MASHIE. The word "ACCRA" was poorly derived from the name "NKRAN" (Ga word for Red Ants). The Ga-Adangbe Nation dressed in red to a battle (war) which they won, so many years before the Gold Coast regime and their opponents described them as "NKRAN". Though the Europeans poorly spelled the word "Nkran" as Accra, both words "Nkran and Accra" is unacceptable to the "GA-MASHIE" and the Ga-Adangbe Nation in general, who are the indigenes of that area. First, let us define "NATION or ORIGINAL NATION" ? :- A body of people associated with a particular territory and its environment, that is sufficiently conscious of its unity to have it own civilized law abiding rules, regulations, beliefs, culture, speak the same language and have a leadership of King, Queen or an Oracle. The roots of a Country are its Original-Nations and must be cherished and preserved. The sub-nation Ga-Mashie has a unique format, it consists of other Chiefs within its Asafo Doctrine practices. The following Districts have chiefs :- Otublohum, Asere, Abola, Alata, Sempe, and Akanmaiadze are directly under the Gbese King, which makes the Gbese King a Paramount King within the Ga-Mashie geographical territory only. The other sub-nations of the Ga-Adangbe nation : Osu Asafo, La-Asafo, Teshie Asafo, Tema Asafo, Nungua Asafo, and Ga-Mashie Asafo, etc. are NOT under any other king, or under any Paramount king indirectly, directly, on contract, on agreement, or by means of any battle among them (as suggested by some but which never occurred). The Ga speaking sub-nations are all "Ga" proper, some of them named their sub-nation after an Ancestor Divinity of the Ancient Nubian regime as a Legacy. However, the name "GA" reflects mostly in the "Anglo-Ga" Language which means ;- the Eldest, the Oldest, or the First. While to the Ga-Adangbes "OTE, TELE, TETE or TETTEY" represents ;- the Eldest, Oldest, or the First. The Ga-Adangbe Nation; Like the Akan Nation, the Hausa (Ahusa) Nation, the Dagomba (Dakumba) Nation, the Anglo-Ga Nation, and many more, are relocated sub-Nations of the Ancient Nubian Dynasty of the Divine Asa, Sai, Osa, Osei, or Esiri Doctrine, which is alive and intact up to today. These historic member nations of ancient Nubia have maintained their genuine culture in a testimonial legacy that portrays live transcripts of an ancient apocrypha of the ancient "Nubian Empires". The structure of the Ga-Adangbe Nations are systems of theocracy; Divine spiritual governmental rule led by their highest priests and like many of the Ga-Adangbe nations, they are deeply cultured and highly specialized in divine spiritualism which they cherish, live for, and die for as their destiny. In reality, the people of the Ga-Adangbe nation are the spiritual entity and are themselves the tools for their ceremonies. They are life transcripts in flesh, blood and death that reincarnate themselves through generations to generations. They also possess a questionable unsolved puzzle of the missing mysterious ancient covenant. The question is whether the powers of that covenant were once and still in a group of nations in flesh and blood as the covenant, or that covenant’s power is in a priceless precious material box. Since dawn, Species of the Ga-Adangbe sub-Nubian Nations; Ga-Mashie, Osu, La-Asafo (La), Teshie, Nungua, Tema, Kpon, Ningo ( Nungo ), Ada, Manya-Krobo, Yilo-Krobo, Shai, Gbugbla, [ Medina of La-Asafo, La-Gon of La-Asafo, Atshimota,] and many more, are in possession of their own rural towns and villages culturally and geographically. Each sub-nation of the Ga-Adangbes consist of a group of clans, with each clan’s own rules and regulations that are in the interest of the sub-nation they are under or part of. And each sub Ga-Adangbe Nation has its own rules and regulation that are also in the interest of the entire Ga-Adangbe Nations. An example of systemized practices of their yearly "Asafotufiam" & " Homowo" atonement festival which they respectfully perform in a legacy manner from one sub Ga-Adangbe nation after the other. Notwithstanding, each special named Nubian Nation has its own language, rules and regulations which relate and reflect other Nubian Nation’s doctrine of the same "Asa, Sai, Osa, Osei or Esiri’s doctrine of the ancient Nubian Dynasty. The name Nubi (Nubian) was derived from the Divine "NU" of the primeval celestial waters where the Supreme Divine Creator of the Universe created itself and became known by the spiritual name NYU-MO, NUn-TSO, A-NU-KYE, and NU-TEM according to the ancient Nubians. "NU" father of many Nubian Nations is also the primogenitor of the "Ga-Adangbes" and like many Nubian nations they are predecessors of "NU", while few of them are progenitors of "NU". These particular "Nubians (Ga-Adangbes, Nubii ) inherited their name after "TE" the first Spiritual divinity name of "NU". Due to the legacy of "NU", the Ga-Adangbes SPIRITUALLY classified and named all first born male "TETE, TE, OTE or TETTEY", and the first born female; TELE, LE etc. Both named after "NU's" spiritual name "TE";- The first creation that came from "NU", which makes the GA-ADANGBE'S the "FIRST" Born of the DIVINE "NU" now known among the Ga-Adangbes as "NYUMO, NOOMO, NUNTSO or NUMO. "NU" is also phonetically pronounced NUTEM, NETERU, or NUTERU, by Arabs, Greek, Romans and a few African Nations. The first and the original name known to mankind of the "SUPREME DIVINE CREATOR OF THE UNIVERSE" was "NU" after which water was named and "NUBIANS" (BLACK SKIN people) were also named after. This is a known fact by the ancient "NUBIANS or NUBII" and a confirmation fact by "The Ga-Adangbes" who still speak the tongue of their ancestors "The Ancient Nubians" as a legacy. Like many of the Ga-Adangbe sub-nations with the same common practices of the "Kpa Doctrine" of the "LA" People (LA-ASAFO) ;- a Sub Ga-Adangbe Nubian nation of the Ancient Nubian Dynasty, and the Resurrected home of "ASAFOATSE TUTU-ANI"; head of the Osa’s, Asa’s, or Sai's, "Kpa" Divine doctrine of the La-Asafo. The "LA-ASAFO" people do not know about " BUDGE WALLIS'S " SO CALLED ( BOOK OF THE DEAD ), but the ( BOOK OF THE DEAD ) carries more about the ( LA- ASAFO people) of the Ga-Adangbes and their ASAFOATSE TUTU-ANI. 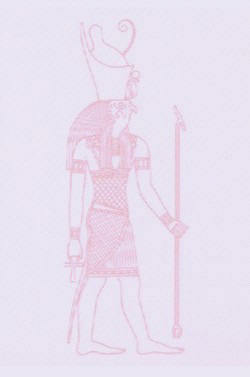 He is known in the (BOOK OF THE DEAD) as "ANI" with his wife as"TUTU". He was the spiritual faculty and the coordinator of the OSA/ASAR (OSIRIS) Testimonial Doctrine include the "42-Declarations Of Innocence", now calved down to the "10-Commandments".
" NI or NII " is a singular description title for an ancient "DIVINITY " which is being used for both Spiritual leaders and Kings not "Chiefs" as illusioned to most in the English translation. However the leader of all " NII's or NI's " uses the Ga-Adangbe's pronoun plural letter "A" to the Spiritual title "NII or NI" to become "ANI". ASAFOATSE TUTU-ANI was a spiritual title of a royal stool of theocracy system and a leader of the "OSA, ASA, (OSIRIS) or ASAR " Divine Testimonial Doctrine of the LA-ASAFO. Based on the ancient Nuubii or Nubians legacy, the LA- ASAFO people COULD NOT and will not spiritually separate the divinity title names "TUTU" from "ANI", always spiritually joint as "TUTU-ANI", just like their relative " AKANS " once spiritual leader and a King with the divinity names " OSEI-TUTU ". "LA" a nation of Nubians who are also known spiritually as "LA-ASAFO" originally consist of seven sub-divisional clans and are spiritually the warriors of the Divine "HUNU" (SUN). The name "LA" (RA) literally means Fire, Flames and Heat. Philosophically "La" is a synonym of the "Sun" spiritually. As a legacy their existence and functions in life is to protect the Divine "HUNU" (SUN) with spiritual Fire, Flames and Heat, a duty in their legacy before 12,000 B C. In essence the (redeemer-oracle of the "Kpa-Divinity" of the "La-Asafo" people) who is the "La-Kpa Wulomo" eat his meal only when the Sun rises. Note: This Spiritual duty is part of their "Kpa" Doctrine, whereby the "Kpa" ( Holy Testimonial Doctrine) represent as the "HUNU" (Sun), the dwelling place of "NU" (The Supreme Divine Creator of the Universe) whose protector is "La" (Ra), the fire part of the Divine "NU" whom one has to go through to "NU" (NUMO or NYUMO) when qualified as a holy person by means of practicing the Holy 42-Declarations of innocence. During the ancient times of the present LA-ASAFO Nation, and presently among the deep cultured, the LA-ASAFO people believe the reason of them being the "Divinity-LA" in one nation body, the "Fire and the Heat" that protects the "Divine-Kpa", the counter part of the "HUNU" (SUN) is due to the fact that "HUNU" is the spirit "NU" made of water with shining Spirit-Soul. For "NU" (the Waters) is the dwelling place of the Creator of the Universe who spiritually made the waters powerful and illuminating. The LA-ASAFO people are the divine-spirit "LA" (Fire-Heat), the foreigners so-called "RA". "LA" surrounds and protect the dwelling place of the Divine Creator of the Universe, which makes them again the children of "NU" ;- NUMO / NYUMO "The Supreme Divine Creator of the Universe". The Ga-sub-nations call the Sun "HUNU" which literally means the "Shining Waters", which is among one of the perfect reasons why they address to themselves as; NUBI, NUUBI, NYUMU-BI, or "HII-A-BII" < plural of NUBI. The name-title "NUU" or NYUMU is also used among the Ga-Adangbes for their male born child. And can be use for both male and female of the same father for the clan of their father’s as a direct descendent of that clan. However, " NU "/" NYU " is also honored as a name to "WATER" among the Ga-Adangbes and their ancient ancestors, "The NUBIANS" (NUUBII). According to the First Original Divine Testimonial Scriptures of the World Creation and Culture of the Nubians (Nubii), the actual " MATERIAL SYMBOL’S " name of the Supreme Divine Creator is "HUNU", "PHU" or " PU". "HU " meaning " shining soul," and "NU" or " NYU" means waters (the primeval celestial waters). 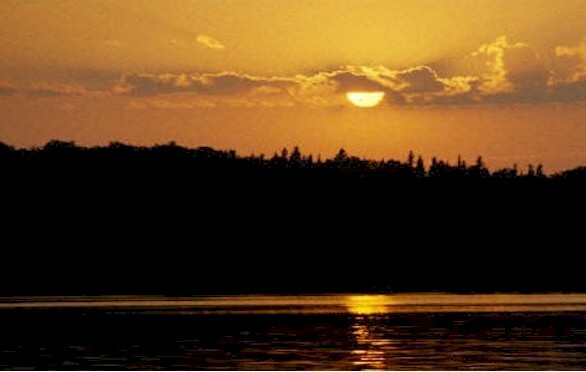 The unified names of HU and NU = "HUNU", which literally means "SHINING-Soul WATERS " (SUN). This information was found on the coffins of the ancient Nubians (Nubii), from their papyrus transcripts, and on the walls within their holy shrine-pyramid tombs. Other information ;- The believe practices among the Ga-Adangbes, and other Nubian descendant Nations. When compare these cultures with the Ancient Nubians (NUBII) the relationship link becomes innocently honest. That means the ancient Nubians (NUBII) and their culture were never lost since 12,000 B.C. and beyond. GA-MASHIE GBESE'S TRUE RELATIONSHIP WITH THE LA-ASAFO'S "LA-KPA"
The La-Asafo brother clan Gbese was part of the three sub-nations; Gbese, La and Nunguah who first arrived at the West-Africa shores territory latter named as the Gold Coast. There were no European present there then. Gbese arrived with his five original sub-quarters of ; (1) Mantse Blohun, (2) Onomioko, (3) Atukpai, (4) Faasee/Viehelm and (5) Nudsosee . They came along with many of their divinities, the major divinities were ; "Nai-ye", "Sakumo", Korle" and "Okudsan", etc. All these ancient divinities are inter-twine with all of the Ga-Dangme divinities, but most of all, due to Gbese relationship with the La-Asafo's La-Kpa tells us why earlier, there were no boundaries between the Ga-speaking and Dangme-speaking sub-nations. When the La-Asafo with their La-Kpa will celebrate their Ancient Homowo Yearly Atonement festival, all the sub-nations of the Ga-Dangmes will attend, the Tswi speaking sub-nation Akwamus and some of the Fante speaking sub-nations will also attend. This united settlements was before the colonial Europeans, the missionaries, and any other Ga or Tswi speaking clan or sub-nation that may have join the Gbese settlement latter. Historically, Gbese of the Ga-Mashie is known as one of the brother clans of the "La-Asafo", while the Divinity "Nai-ye" of Gbese is a Divinity sibling of the La-Asafo Divinity "La-Kpa". During the Ancient Nubian Dynasties regimes (The pre-Egyptian times), the Divinity "Nai-ye" among many sibling Divinities has been one of the Ancient Divinity component within the Sacred Doctrines of "La" (Ra) towards the preparations of the "Nile Rivers Yearly Harvesting of the New-Year Atonement Festival", prior to their present Ga-Adangbe region now known as the so-called "Greater Accra Region". Gbese-clan, though now isolated to Ga-Mashie is also among the two to three indoctrinated clans of La-Asafo to provide a wife (Afi-eyie) the [Asasi-Afi-a] to the "La-Kpa" Divinity, in the case of newly "Afi-eyie" is to be enthrone. This Doctrine principle is prior to the Ga speakers Gold-Coast settlements. Among those specific La-Asafo clans where "Afi-eyie" the (Asasi-Afi-a) is selected from are the: Lershie-clan, Abafum-clan and (Abese-clan) in which the chosen has always come from, with many young and beautiful women as the Queen "Asasi-Afi-a" to be the "Afi-eyie". 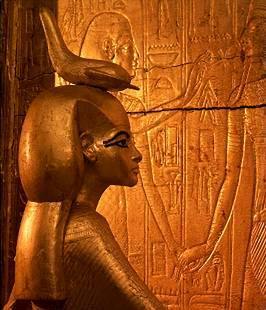 "Afi-eyie"; An Ancient Nubian Divinity title name of the Ancestral Queen "Asasi-Afi-a", a royal divinity name which was corrupted to the name "Isis" by non-Nubian descendant tongues. Gbese is not the only geographically isolated brotherly clan of the "La-Kpa", the Akwapims "La-Ter" (La-Tetteh) is a younger brother to the La-Asafo "Tettey La-Kpa", while the "La-Kpleku" is also an isolated brother clan to the "La-Kpa", both are in good relationship. There are other Divinity siblings of the "La-Kpa" who belong to the Ancient Ancestral Divinity Doctrine of "La" (Ra), they are the Divinities; "La-Kpa", "La-Ter", "La-Shiele", "La-Shioko", "La-Fa" and "La-Ni-o-Gbe", etc. The Spiritual Motion-Mechanism of these Divinities and their Sacred Doctrines before and during the Gold-Coast regime was to re-establish their once "La" (Ra) Ancient Monotheism Doctrine Dynasties who were in different geographical settlements after hundreds of years in dispersion and transitions, coupled with war and relocations. Just when they thought they were at peace in the Gold-Coast territories of the now West-Africa, they instead experienced an internal hemorrhage within their sub-nations relationship with one of their Ga speaking sub-nation clan. Folks Oral history up to today tells us that the motive of the hemorrhage of this Ga-speaking clan member was to capture the Divinity "La-Kpa" to have in their possession to possibly control the Gold-Coast settlements though they have no knowledge of how to conduct the Sacred Doctrines of the "La-Kpa". Due to the war experiences during their transition from the then Nubian Plains (The Middle-East and the North-East Africa) the protectors of the "La-Kpa" who were the "Lershie-clan" and the "Koi-clan" created a strategy of an illusion to the enemy. This tyrant enemy will confront the Lershie and the Koi-clan assuming the Divinity "La-Kpa" maybe in their possession, while the Divinity "La-Kpa" will actually be with their relative "La-Kpa-Koo" now known as (Teshie), this strategy was also performed in favor of the "Divinity La-Kpa" by some of their "La" Divinity members such as "La-Shiele", "La-Shioko", "La-Fa", "La-Kpleku", "La-Ter" and "La-Ni-o-Gbe" etc. Despite this simultaneous terrorist tyrannical act imposed upon the "La-Kpa", which was never succeeded, the La-Asafo sub-nation and other sun-nations of the Ga-Adangbe Nation up till now are not under any paramount control or under any agreement unconditionally. The latter enemies to the "La-Kpa" were the colonial regimes slave traders, missionaries, mercenaries, gold hunters and inner land mongers. The colonial regime proposed and demarcated a road to run through the premises of the "La-Kpa" but was furiously rejected, which almost started a war, the road was stopped at the premises wall of the "La-Kpa". The colonial regime then diverted the same road so as to run through one of the Divinity known as "Dzobu", which was also rejected by the La-Asafo and diverted the road around the "Divinity-Dzobu". This diversion is what left the Divinity "Dzobu" sitting in the middle of one of the La-Asafo road up to today. Other proposed road was imposed upon the Divinity "Tsa-Ade" the wife Divinity of "Nyomo-Tsaa" which left the Divinity "Tsa-Ade" also on the road. The last but list attack was the whole West-Africa and the Gold-Coast territories which was the demoralization strategy, whereby the Nubian "African" believe and names were to be changed to Christianity and Muslem names and believes. The Divinity "La" (Ra) of the 'La-Kpa" with its Ancient Sacred Doctrine B.C. historically went through many obstacles from its spiritually inherited dwellers out of naked prejudgment, today most of the generation of the La-Asafo of the "La-Kpa" did not know much about the dispersion transitions of thousands of years through wars that their ancestors went through to enable them be at peace today. As one elderly woman stated that ; "I hope one day these generation will someday be out of demoralization mode to their true self identity of authenticity, to appreciate how hard the "La-Kpa" fought for their well being". Theocratically the LA-ASAFO still practices the "ASA" or "OSA Doctrine". This Divine practice which few can now be found in their Divine symbols - language (hieroglyphics) in Nubia (the present North East territory of Africa) and most preserved Nubian cultured area; West Africa, Central Africa, East Africa and Southern Africa. Those few and most of the Divine Symbols Languages of the Osa- doctrine that is not known by outsiders are of their daily culture that they practice, cherish, live for and die for as their way of life. This Osa/Kpa Divine Doctrine is which (the LA-ASAFO) call in their Ga tongue; "KU-SUM, KU-SU-HU, or KHU-SUN". KU, KHU,= Body-soul. SA = Spirit- invincible. SU, SHU, or HU = Shining-Soul. Therefore KUSUn, KHUSHU, KUHU or KUSUM = Body- Soul (spiritual). And SAHU means; shining "Spirit Soul". Practices of the Supreme Divine Creator through; our KU (KHU) or SA (OSA) = Spirit, and through "HU" = our Shining "Soul". So the name "SA-HU" (Spirit soul) is the title name for the Supreme Creator’s only representative in human form. One who practices Holiness, and recognized as the Divine over the District Divinities, as a Spiritual leader and a King, with the title "SA", "OSA", "ASA" or " OSEI ", which means; Spirit Soul (of the Supreme Divine Creator). In essence "ASAFO" is a person or persons ( member or members ) who practices the "Doctrine-of-Holy-Practices" of "Nyumo" (Numo) represented by "OSA", the so-called "Osiris". The pronouns "O", "A" and " E "added to "SA" and "SIRI ", result in O-SA, A-SA, O-SEI or E-SIRI, the names which most Africans used then and now. Sadly the Divine name title OSA, OSEI, ASA, and ESIRI is now illusion phonetically to the word "OSIRIS" and many like that, typically doings of the Greek tongue. The word "Osiris" is a corrupted Greek word of the ancient Authentic Nubian (Black person) name "SA", "OSA", "ASA", "ASSA" or "AUSA" etc, which is used as a spiritual Royal Title for a King, Queen, Oracle, Redeemer, Warrior, (Dzen-man Won-Yoo, Dzen-man Won-Nuu,= Sacred Universal Spiritualist). As part of the Nubian cultural routine, the name SA", "OSA" and "ASA" has been used for a women as well : "A-SA-Te" Asante-wa or YAA-ASANTE-WA, SAFI, SAKU, A-SA-BIA and O-SA-KUA synonym of (OSEKUA) and many more. Male names; O-SAI, SAI, SAKA, SABU, ASARE, OSA, (MENSA), OSEI as OSEI-TUTU synonym of OSA, SABAN, BOSA, BOKOSA, OBASANJO, SALAMI and SAKI, etc. As the name title OSA, OSEI, ESIRI, SAI or ASA represents life and death for humans spiritually, it welcomes and represents humans into the world in flesh soulfully and represents humans into the unconditional spiritual world spiritually. So the Divine title name " OSA" remains to be on earth for both our "SA" (Spirit) and our "HU" (Shining -Soul), as the divine key word in our functioning in life to our functioning after flesh life. The Divine key words;" OSA" and "ASA" is attached to the Divine Doctrine of the Supreme Divine Creator of the Universe. ASAFO is a MEMBER of the "Divine Doctrine", ASAFOATSE is the LEADER of the "Divine Doctrine" practices of; SPIRITUAL SOUL OF THE DIVINE SUPREME CREATOR;- NYUMO (NUMO). The Ga-Adangbes sing "ASAFO" war songs in the name of "OSA". They sing joy (Celebration) "ASAFO" songs in the name of "OSA". They sing "ASAFO" songs in the name of "OSA" during enthrone of a King, a Queen or an Oracle, and they sing "ASAFO" songs in the name of "OSA" during funeral and burial ceremony-services of a King , Queen or an Oracle (WULOMO) etc. The ancient cultural-Divine doctrine of A-SA, O-SA, SAI, E-SIRI, O-SEI or O-SAI practitioners and followers are known as:"ASAFO"and "OSOFO" among Ghanaians. The title OSO-FO is a singular of ASA-FO, e.g. :-All Christian priests were named by the ASAFO-Ghanaians; of the GA-ADANGBES and the AKANS etc., in their language as "OSO-FO" and the Christians members as "ASA-FO". This title names "ASA-FO" and "OSO-FO" has been in use by the Ga-Adangbe nations and the Akan nations before Christianity, and beyond 10,500 B.C. The title "ASAFO" and "OSOFO" is still being used in a non-Christian form as a legacy of the "OSA" practices among the Ghanaians. The Nubians (now called Africans) of the Ga-Adangbes, the Akans, and the (A-Hu-Sa) Hausas etc; These nations and several others believed that any person or persons who practices holiness must be with the O-SA or A-SA divine doctrine. They have long known about ASA or OSA, so they saw a reflection of their ASA/OSA divine doctrine practices within the Christians, which is to them had been tampered with. To the Nubian (African) the true practices of the ASA/OSA DIVINE doctrine is based on a legacy without bending the legacy rules. So they called the Christian priest as a member of ASA or OSA "OSO-FO". They did not name the Christian Priest the name of the ASA or OSA doctrine leadership name, which would have been "ASAFO-ATSE". ANALOGY OF " LA-KPA "
The Ga-Adangbe word " KPA" or " KPAMO" which in the English language means:- Testament, Divine Law, or Divine Testimony, was addressed as a title to the Christian Bible by the cultured "GA-ASAFO" Ghanaians in their tongue as;-" KPA-MO MOMO " ( OLD TESTAMENT ) and "KPA-MO HEE" ( NEW TESTAMENT ). This ancient Nubian word "KPA" (TESTAMENT or DIVINE - TESTIMONY) of the Ga-Adangbes is specifically used for the "OSA DIVINE DOCTRINE " Practices known as "ASAFO". While the title "LA-KPA" means; "LA-ASAFO DIVINE-TESTIMONY". Not to forget the description;" KPA-MO ADEKA" ( DIVINE-COVENANT ). The word "KPA" is used in the formation of compound words, as a Command, Oath or Pledge. For example:- "Oto Kpa" = You are of a bad case or You are a bad Testimony. "Kpa" = Stop or Don't do it. "Kpa ta mo ame"= Stop them from fighting or Stop them. "Kpa ke dze mino" = Take it away from me . " Kpaoooo! "= Off me, Away from me, or Isolate me of ….. in the name of the Divine Testimony"KPA",and many more. Philosophically they all have common understanding, which is swearing in the name of "ASAFO'S Divine Testimony" the "KPA". This Divine Testimonial Testament "KPA" is part of THE LA-ASAFO'S LAW which makes them to be a Nubian Nation of Ancient Legacy. "KPA" is also their "LITURGY"; public divine worshipping within their atonement Language. The Spiritual title "LA-KPA WULOMO" the (ORACLE): Is used for the spiritual leader who represents the"LA-ASAFO"Nation as the conductor of the"LA-KPA",which is the (LA-ASAFO DIVINE-TESTIMONY) of the Supreme Divine Creator. "The practices of "LA-KPA" is within the LA-ASAFO NATION'S permanent established institute. It is the culture and the daily Divine Communication, in Testimonial Language of the Supreme Divine Creator with the Supreme Divine Creator and their Ancient Divinities. "Atonement Language": The true ingredients of the Nubian Languages ( Afrikan Languages ) are collective names of nature, and divinity names of their ancestors. The believe power of their spiritual reincarnation is the energy drive within their atonement languages . The Ga-Adangbes speaks the Language of "Kpa" ;- Divine Testimony. This has been the legacy Language of atonement- communication, and part of their well-defined system of Theocracy. All of the above information was based on a living legacy of "NU" or "NYU" ( The Divine Name of The Primeval Celestial Waters ) and the (CUSTOM) "KUSUM"of the OSA /ASA DIVINE doctrine of the Ga-Adangbes who are one of the PRIMOGENITOR of "NU" ( NUMO) or "NYU" ( NYUMO ). Like a mother breast milk scent on a baby breath, so does the linguistics of the Ancient Nubian's Language on the tongue of the Ga-Adangbes. In realty, the Ga-Adangbes were NOT illiterate to their writing and reading of the "Kpa" Doctrines, the so-called "hieroglyphic holy writings". " ONE CAN SPEAK WHAT HE OR SHE WRITES AND READS ". REVIVE YOUR KNOWLEDGE ! WHAT WERE THE HIEROGLYPHICS DOING ON YOUR FISHING CANOES ? OMANYE ABA BLA NYE ! = Good omen to all of you! SPECIAL THANKS: TO THE CHILDREN OF THE ENSLAVED NUBIANS (AFRIKANS), WHO WISH TO GO ON A VISIT OR RELOCATE TO PLACES LIKE "GA-MASHIE" AND OTHER ORIGINAL NAMED NATIONS, OR SUB-NATIONS. THOSE ORIGINAL NAMES THEIR GREAT GRAND PARENTS CARRIED WITH THEM FOR OVER 5OO-YEARS IN CAPTIVITY, AND TOLD THEIR CHILDREN BEFORE THEY DIED, AS "GA-MASHIE" NOT AN ALIEN NAME "ACCRA". "OSU" NOT AN ALIEN NAMES; "CHRISTIANSBURG OR JAMES TOWN" AND MANY MORE.